Kigoma/Ujiji Town started from the Arabic era as one of the major slave trade started from Congo DRC through Kigoma to Bagamoyo. Kigoma Town Council was a center of collecting slaves , although slave trade was later abolished in 1884, the existence of Arabs and slave trades brought about establishment of strong Islamic faith among the inhabitants. Kigoma Town people are hardworking and since then had been used as a source of labour force to work in plantations in coast belt regions. 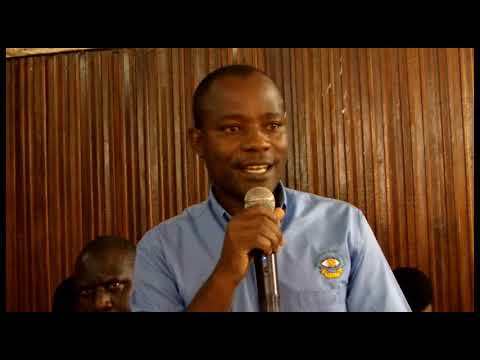 It is through such effects that the Economic status of the Town becomes static because of potential work force not contributing in production in Kigoma town. Kigoma Ujiji Municipal Council is one of the Council that was established under the Local Government Authority, Kigoma-Ujiji Town Council was established in 1962 by the Local Government Act No 12 that was passed in the National Assembly on the sixteenth day of February, 1963. In 1982 the Town Council was re-established again by Act No 8 of Local Government Authorities . As from 1st July, 2005 the Town Council was upgraded to a Municipal Council authority. The municipality experiences a modified type of equatorial climate. It is generally the climate is tropical with moderate rainfall (average 800-1600mm) per annum. The peak temperature occur from September to October .